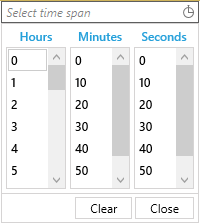 This article will demonstrates how the user could easily apply one of the built-in themes to RadTimeSpanPicker. 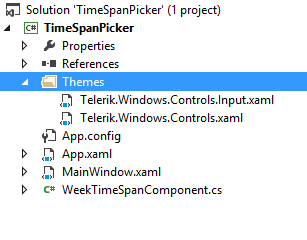 RadTimeSpanPicker like all other WPF Telerik controls supports styling using Implicit Styles. Here you could find some more detailed information concerning Implicit Styles. 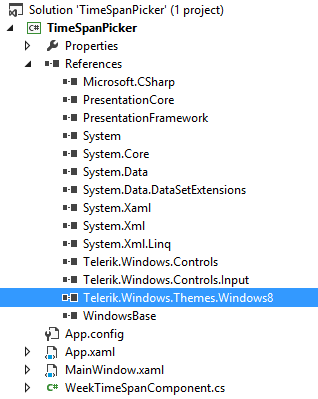 Example 2 shows how to merge the copied .xaml files.